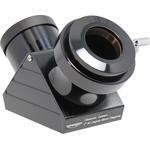 You know the situation - you've clamped your precious eyepiece using the locking screw on the focuser. But instead of sitting precisely in place, it is tilted or even worse - the screw marks and damages the barrel. But this doesn't need to happen, there is a solution: the Twist-Lock adapter. 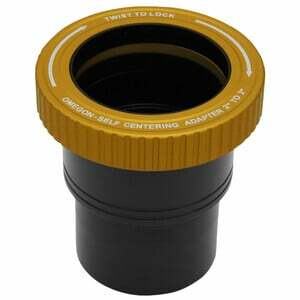 The purpose of this adapter is to precisely centre your accessories right in the middle. 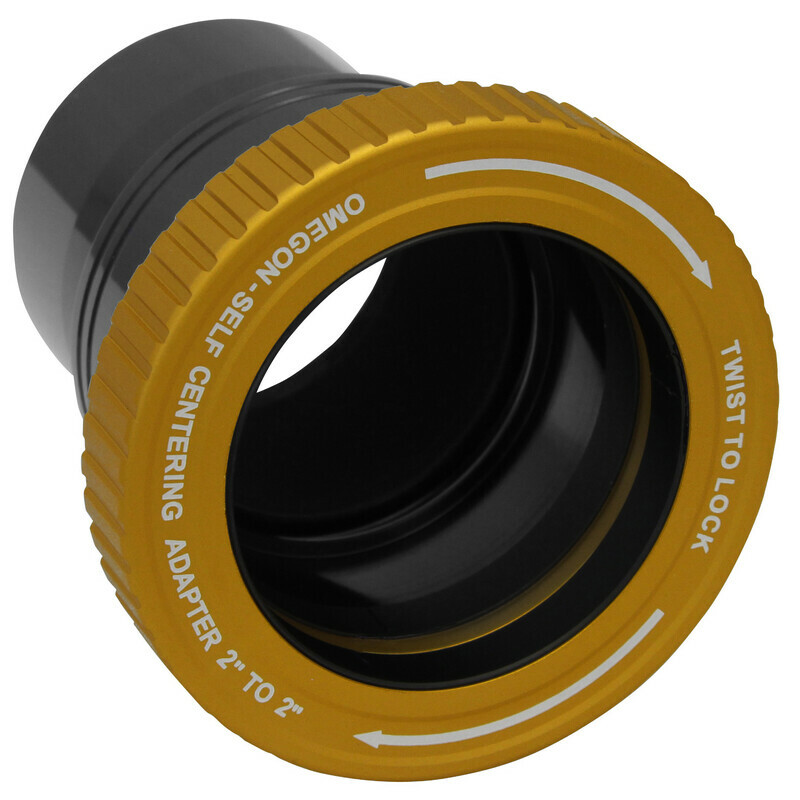 The adapter is suitable for all 2" focusers, but it also has an SC thread in order to create a secure connection to your Schmidt-Cassegrain telescope. 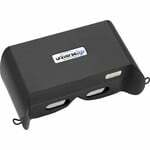 And the best thing is that it positions you accessories and eyepieces so that they are precisely aligned with the centre of the optical axis. 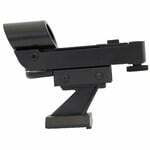 The adapter is gentle with your accessories and yet clamps them in place with incredible force. 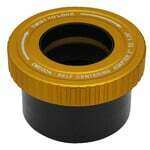 Save money when buying filters - a 2" filter thread lets you use a 2" screwed filter, even when using a 1.25" eyepiece. A blackened interior and gold exterior - the Twist-Lock adapter comes in a stylish anodized design. The golden lock ring provides a lot of grip and is therefore easy to use even in cold temperatures. One quick twist to the right and you've attached your accessories. Now you can start observing. The 2" connector can be unscrewed from the barrel. Under this is a SC thread. 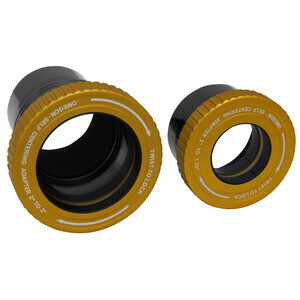 This product is hence an ideal 2" eyepiece holder for Schmidt-Cassegrain, Edge-HD and ACF OTAs. Adding mirror-boxes, filter-wheels and cameras to these models means increased lengths and high weights. 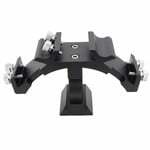 The twist-lock connection ensures a secure grip without any distortion.